Could outsourcing your Learning and Development (L&D) department provide the edge your organization needs to stay current and competitive? Using an external provider can give you access to the latest technology and expertise while increasing your return on investment (ROI). It’s no secret that today’s business landscape is fierce. In an undulating economic climate, building and retaining a talented workforce is more important than ever. For an organization that seeks to stand out from the crowd, L&D is no longer a “nice to have” – it is now seen as an essential strategic function that can transform an organization into a high-performing frontrunner. But, there is a fundamental problem: employees are too busy in demanding multi-faceted roles these days to give training the time and attention it really needs – that goes for creating it and completing it. What you need is a smart solution. Partnering with an external L&D provider could be the game changer to put the focus back on quality training that truly develops your people. In this article, PulseLearning explores 5 benefits available to organizations that outsource some or all their L&D requirements. An external L&D provider needs to be at the top of their game to remain successful in the vendor business. By outsourcing your L&D requirements, you tap directly into the latest, best-practice industry standard knowledge while also leveraging the talent pool of your provider. When selecting a provider, check for recent industry awards or quality standards that prove they can deliver on their promises. 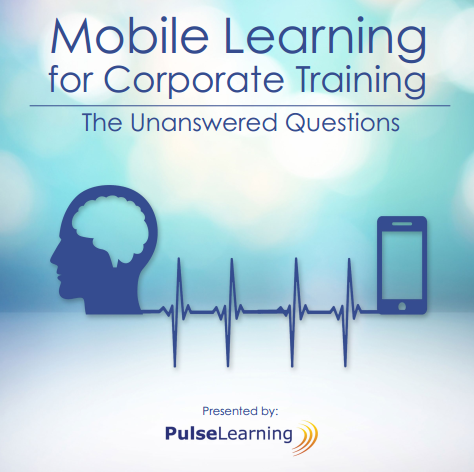 Did you know that most organizations spend 1% of annual profits on training1? This can equate to a lot of precious financial resources – and I’m sure you want the best return on every dollar spent. Cleverly designed training that delivers on business objectives can increase your training ROI. An experienced external L&D provider can create measurable programs that can be evaluated. For example, after rolling out a specific training program, you could measure if attrition has increased, decreased, or stayed the same. If you do have L&D capabilities on site, they could be too busy to deliver the leading-edge training experiences that develop great employees into even more valuable assets. In fact, it’s not uncommon for in-house L&D departments to spend around 30% of their time on administrative tasks2, such as scheduling training, organizing programs, booking venues and facilitators… the list goes on. In response to ever-increasing “busyness,” it can be tempting to reduce training costs; however, keep in mind that it’s usually training that retains employees so compromising on quality can lead to an even bigger (and more expensive) issue. If it isn’t financially viable for you to have a designated L&D department within your business, outsourcing could be an ideal solution. By outsourcing your L&D requirements, your organization can remain streamlined, using external L&D resources on a project-by-project basis as opposed to paying them full time. You’ll also be able to find the right match for each project all while accessing the latest industry knowledge, creativity, and application of technology. 5. Get it done, fast! In-house L&D can often get pushed to the back of the queue. Outsourcing your L&D requirements can significantly increase your speed to market, as your vendor work according to your time frame and develop a project plan to deliver what was agreed. Most external vendors can offer development processes that are quicker than a traditional ADDIE model, such as agile development or, where suitable, a rapid development process. We’ve just covered 5 of the key benefits outsourcing your L&D department can bring; however, there are a whole host more such as gaining a focused third-party perspective, reducing software costs, and even saving time by working across time zones. With so many benefits to offer, it’s definitely worth exploring further.